I’ve worn these socks as often as they were clean (and a couple of times when they were plucked out of my dirty clothes hamper). 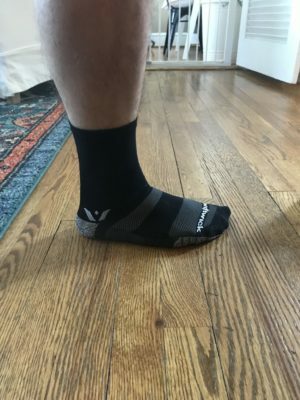 Swiftwick provided two pairs of socks, so I have worn one of the pairs multiple times per seek since my last update. 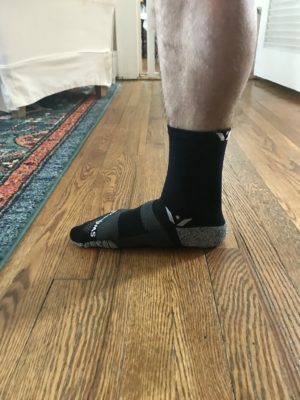 I’ll split my final thoughts about the Swiftwick Flite XT Five Socks into three categories: Comfort, Performance, and Durability. In the past month since my intial update, I have put the Swiftwick Flite XT Five socks through the ringer. I’ve used them during crossfit workouts, running, trail runs, and even backpacking. Swiftwick designed these socks for activities where there is a lot of lateral movement, specifically for cross-training. The sock is designed so that your feet don’t slip around in your shoe while your foot experiences extra lateral movement. I’ve worn the socks during workouts with burpees, sprints, olympic lifts, box jumps, jumping rope, etc. If I am being honest, I can’t say that the AnkleLock or GripDry technology has made the socks more “locked in” to my shoe than any other sock I have worn. In my experience; my shoe design, fit, and how they are laced affect how much movement my feet have when they experience lateral movement. That’s not to say that these aren’t great socks! These socks are extremely comfortable. They have just the right amount of compression throughout the whole sock, which makes it feel like me feet are getting a comfy hug. I am currently training for a 50k trail run. Socks are a huge part of running gear, long runs especially. I’ve put a little over 120 miles on the socks during my training runs so far. I have worn them mostly in hot and humid conditions (even on a 16 miler that rained on us the whole time). The socks have yet to blister my feet or create any hot spots while logging all of these miles. They are always the pair of that I grab for if they are not in the wash. I wore the socks on a recent backpacking trip to the Mount Rogers National Recreation area in the southeast corner of Virginia. I wore the socks with mid-top hiking boots for the initial 8 mile hike in. I was pretty nervous with what the boots would do to my feet and ankles since I usually wear much thicker socks with hiking boots. 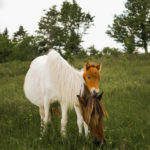 Much to my surprise, the socks and boots were an afterthought, and my feet were comfortable and blister free, which was good since we had some visitors on this first leg of the trip (see photos below). 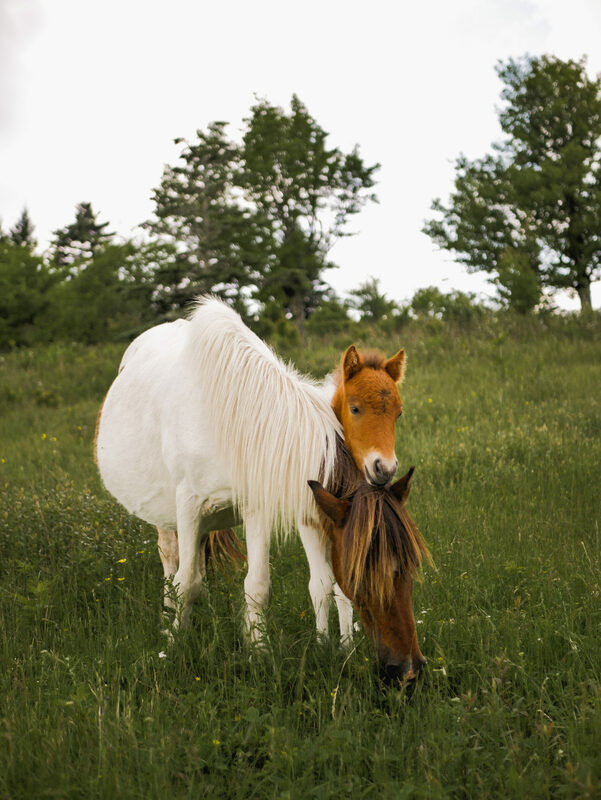 Cattle that the Forestry Service use to maintain highland grasslands. The socks have held up well and show no sign of wear and tear (it’s important to note that I have been alternating between two pairs of the same socks). I’ve been very impressed with these socks so far. I plan on putting many more miles and workouts in with thesm. Check back in about a month with my final update on the socks. Socks are something that you shouldn’t have to think much about when you are wearing them. They should only enhance (protect, comfort, support) not detract from the enjoyment/performance of the activity they are being used in. I’ll review these socks under three criteria: comfort, durability, and performance. The Swiftwick Flite XT socks are specifically designed for cross-training. 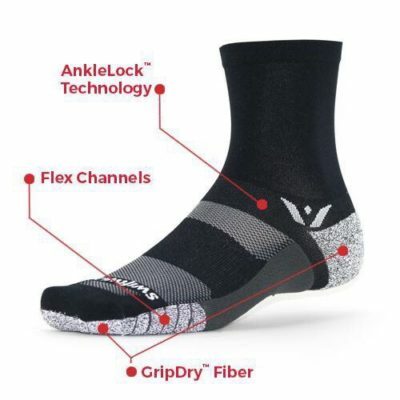 Swiftwick claims that they are “the most technologically advanced cross-training sock ever developed. The socks feature designs and technologies for activities where the foot experiences frequent lateral movement. 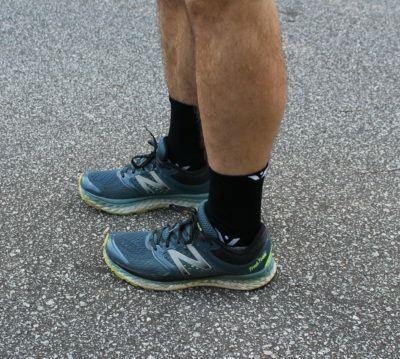 Initial fit and comfort for the socks when I first tried them on was outstanding.The sock has good compression which feels uniformly comfortable in the forefoot, midfoot, heel, and ankle. I have flat feet, and often times specialty socks, compress my collapsed arch too much and cause my feet to cramp. I don’t get the sense that will happen with these socks, but I will make sure to note it in my next update. I wear a 10.5 shoe and so I went with the Large according Swiftwick’s sizing chart. The Large fits my foot well and the Grip Dry ankle cup doesn’t ride too low or pull too high up. 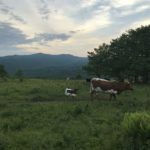 I am currently in the early training stages for a 50k trail race in September. While these socks were designed for cross-training, I plan on wearing them during my runs. I also plan on wearing the socks while doing Crossfit workouts as well as hiking and backpacking. 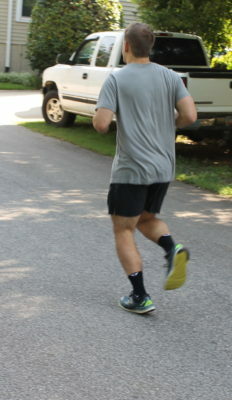 Check back in about a month when I report back with my initial update on the Swiftwick Flite XT Five socks. 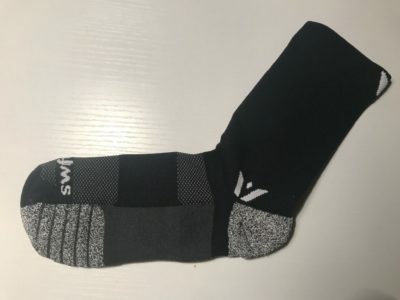 Thanks to 4AllOutdoors and Swiftwick for the chance to review these socks!